Fishing is slow for all species. The lake is still at a higher volume. 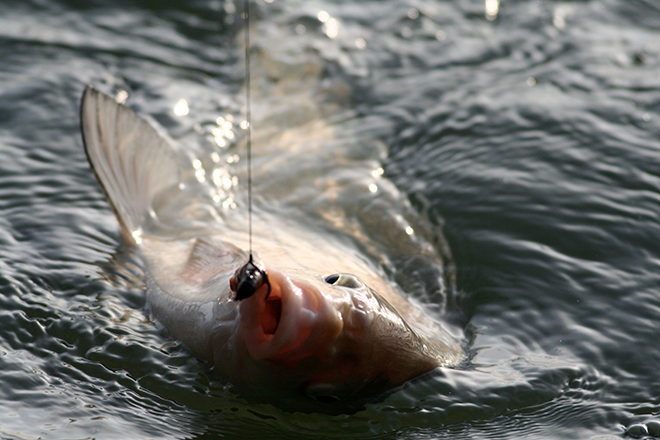 Night fishing is the best time to fish due to warm daytime temperatures. The current water temperature is around 65 degrees. The trout fishing at Clear Creek Reservoir has been slow from boat and shore. A majority of anglers reported landing 8 to 12 inch rainbow trout. A few anglers caught 18 to 23 inch rainbow trout at the eastern part of the reservoir. The best shore fishing for trout has been in the morning. Shore anglers caught a few trout on PowerBait off the bottom. Trolling with artificial pink worms with flashers and minnow Rapalas has been productive for boat anglers. The kokanee salmon fishing has been very slow. Evening has been the best time to fish for tiger muskie. Most of the tiger muskie follows were on rainbow Rapalas and spoons at the eastern part of the reservoir. The reservoir is closed to trailer motorized watercrafts on Tuesdays and Wednesdays. The current boating hours are from 6:00 a.m. to 8:00 p.m. The fishing has been slow for trout with most anglers doing the best earlier and later in the day. A few pan fish have been caught during the warmer part of the day. Anglers are not catching many catfish yet. The fishing has slowed considerably. Anglers are catching some fish, but not in any great numbers. The bluegill are getting caught the most consistently. The bass, trout, crappie, and catfish are not biting very well. A few anglers have been trying primarily upper and lower queens. They have caught a few catfish and some carp. Increased water levels allow for launching of boats from the west ramp, but the south ramp is completely under water and not accessible at this time. Boaters are urged to use caution as there is floating debris and unmarked obstacles.